Never give control of your domain name (like www.awpcomputers.co.uk) to anyone outside your company. It’s one of the most crucial elements of your business’s on-line identity, and central to your brand. Your IT supplier should have access to your website and email to resolve any problems, but make sure your domain name is owned and controlled by your company, and not by your IT supplier. It may seem strange than an IT Support Provider (IT supplier) is penning an article on the subject of never giving control of your domain name to anyone outside your company. However, I've seen two examples in the last week where companies we've been work with have had issues stemming from their domain ownership. Based on recent evidence, a number of IT service providers seem to almost hold their customers to ransom with 'God like' control over systems and access to them. This is not the way! The relationship between you and you IT company should be mutually beneficial, and you should ultimately be seeing a return on your investment, based on efficiencies the arrangement can bring. Above all else an IT support provider should be transparent, and always involve in what they doing, even if you don't want to know the minute details of how it all works. A domain name is an important factor to consider when setting up and running your business in a digital age. It helps your customers identify your brand on-line and ties together your sales, marketing and communication actives through your website and email. A domain name is broken down into individual components, such as top-level domains, second-level and lower level domains. It ultimately provides a human friendly address, which is easier to remember than a set of numbers, to a resource on the Internet. 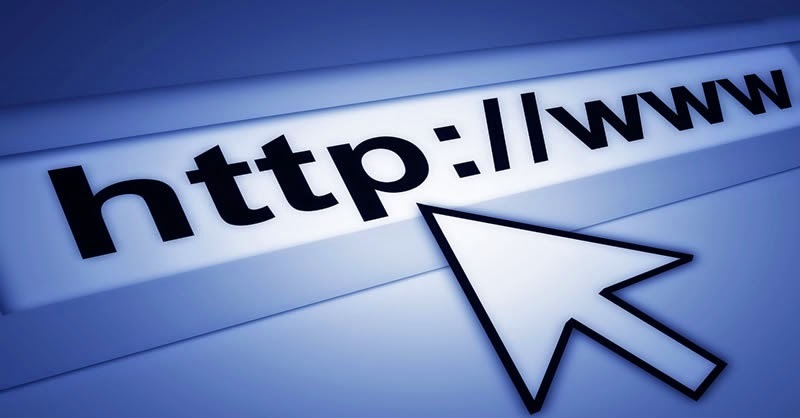 The easiest way to think of domain names, is that they are almost like a virtual phone directory, providing a look-up between the numbers the computers use (called IP addresses) and the more memorable words humans prefer. The process of registering a Domain Name can be daunting for the uninitiated, and this is were it's likely many people will turn to an 'IT expert' to help them out. By all means, enlist somebody to 'help' you with the process, but always ensure that any registrations are made in your company's name, with your company's address and at most the IT person (or their company) is registered as the 'technical' contact. If you don't make sure your domain name belongs to your organisation, it can lead to disputes and problems in the future. An IPS TAG is a way of Nominet (the not for profit company who governs the .uk domain names) giving control of a domain name to a specific company. For example the domain name www.awpcomputers.co.uk currently has the IPS TAG, as per the above example, of WEBCONSULTANCY. It is possible to move your domain to a different registrar, after you have registered it, if you chose to. However, there will likely be a fee. Do I have a Problem with My Domain Name? Hopefully, you're reading this article prior to registering your domain name and taking heed of the advice about making the registration in your business' name. If you're not, and you already have a Domain Name you're concerned about, don't worry there are steps you can take to reclaim rightful ownership if you have a problem. As mentioned previously, Nominet UK is a non-profit company and is in control of the .uk domain name registry. In this capacity, they are able to help with domain name problems or disputes. Even if you do not register your company's Domain Name, and have don't have access to the account with the Registrar, if you have been using the Domain Name for your business' on-line activities, and it is obviously linked to brand or companies name Nominet can help you get your domain name back. In recent weeks we worked with a company that had allowed an unscrupulous IT support provider to register their domain name on their behalf. The IT company had registered the Domain Name using their email address & password. They had kept ownership of the Registrar account, domain control panel and were not allowing the company, which we are now working with, to log-on and make changes. Fortunately, in this specific case, the domain had be registered in the proper company name and address. We were able to help our new client in their discussions with Nominet, and with Nominet's guidance were were able have a direct dialogue with the Registrar. We were able to send proof of one of the Director's identities, specify a new email address to use for control panel access and in turn the Registrar sent them a new access password. In this case the whole process took less then a day, and Nominet advised us that, if the Registrar did not comply, they would be able to assist us. There would have been a small admin fee for them help us with the process. If you would like some FREE help and advice with any aspect of registering a Domain Name or enlisting the help of Nominet, please don't hesitate to give AWP Computer Services a call, on 01772 698078, or contact us through our website.